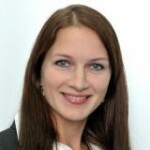 Pavla is an experienced marketing and sales professional. After five years’ experience as a Financial Services Account Manager with Thomson Reuters, Pavla worked within SMEs in Switzerland as a public relations and marketing manager. She has a background in International Relations, with a BA degree from the Università degli Studi di Trieste, and a MA in International History and Political Science from the Graduate Institute in Geneva. A Czech national, she has travelled the world as a global expatriate accumulating hands-on experience in numerous countries and is fluent in Czech, English, Italian, Spanish and French.